Eleon Bouquet metallic brocade (white/gold) - Istok Church Supplies Corp. 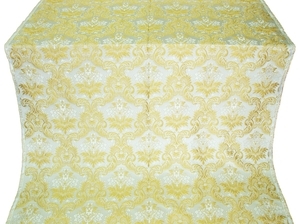 Exclusive Greek metallic brocade for liturgical vestments, type BG4. Width: 62.2'' (158 cm). Repeat size: 13.6''x17.1'' (34.5x43.5 cm). 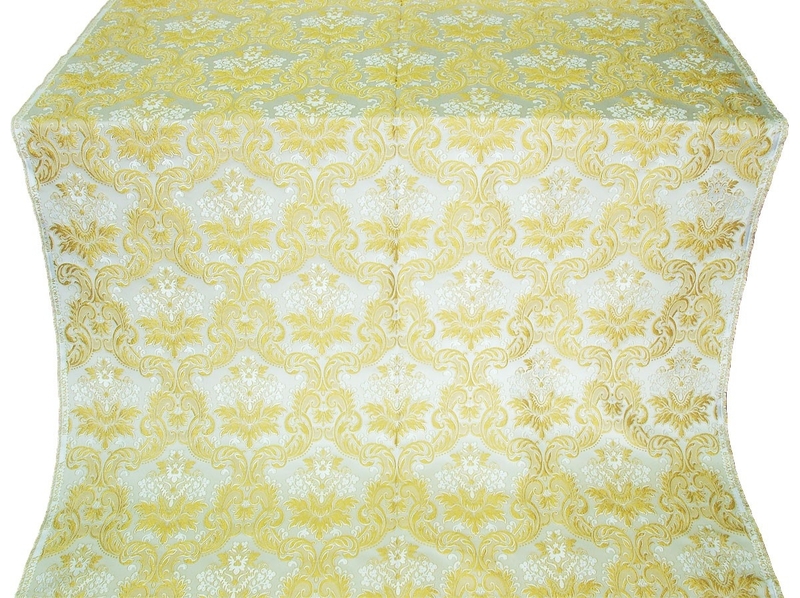 Composition: 30% acetat, 45% poliephir, 15% rayon, 10% natural silk. Dry-cleaning recommended. Price shown is per 1 meter..